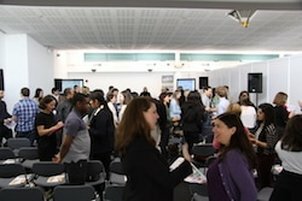 Throughout the day there will be a number of workshops taking place with keynote speakers and panels to give you the best information and advice for your career. Please note: Please register, and we will send out joining instructions for booking on to specific workshops and our 1-2-1 CV Clinic sessions. Your personal brand is essential to your career and development as a leader. First impressions count, whether it's in an interview or starting a new job but also how you present yourself throughout your career. Diversity and being authentic is a key asset in the workplace - learn how it can contribute towards your personal brand and why it matters. This session is a workshop, but there will also be the opportunity to hear from organisations on why this is an important area. From technology to forensics and climate change, prominent women in STEM will motivate and inspire young women to bridge the gender gap in science, technology, engineering and maths careers. Heathrow will give you an insight into why organisations are looking for diverse talent and how to stand out through being unique. The session will give you an insight into finding and securing the right role for you; from the application process, to the attributes companies look for in their next generation of talent. This session will be intertwined with Heathrow’s journey around Diversity and Inclusion. LinkedIn is well known as being THE number one resource for Recruiters so being visible there is critical for any jobseeker. What is less understood is that LinkedIn is a professional network that will help you progress throughout your career. In this engaging talk LinkedIn expert Mark Williams will explain, through the medium of a story, how LinkedIn can help you with finding job opportunities and mentors, researching people to help with job applications and building an effective network that will support your career in the future. Adi Dassler built his business with an insight that is still true today: Every innovation starts with seeing a problem through fresh eyes. We have to start with our people. Meet with our very own Creators who will expose you to the right information to support your career journey. Making sure you are prepared for the daunting interview process starts here. This important workshop gives you the tools to succeed, explains what to expect and the real life scenarios around interviews. Leadership skills and qualities give you the ability to excel and succeed in your chosen career path. It is important to learn how to utilise these skills to your advantage. Attend our sessions on getting the job, social mobility, interview techniques and diversity strands. Our Pop Up stage will be hosting a number of inspirational speakers throughout the day. Pop by for quick 10 minute talks on a variety of topics designed to push your career forward. There is no need to book for these sessions. Be fully prepared for your first job interview with the people who will be hiring you! We've got some of the best HR consultants around on hand to put you through the paces of a real interview situation, giving you the feedback you need to get the role you want. There's some truth in the phrase: "It's not what you know, but who you know." Networking could play an essential part of your career development, and for candidates from diverse backgrounds, it can do so much more. Learn how to utilise this skill from professionals who have used the power of networking in their own career. WHAT'S NEXT? APPRENTICESHIPS OR NOT? Top apprenticeship employers talk about why apprenticeships are becoming the best option for young people. Early careers employees from top organisations give their tips on starting their first job. How they got into their role and what it is like working for their company. Why nowadays it is more important than ever to bring your whole self to work. Organisations now believe that people who bring different opinions or ways of thinking are integral to their bottom line, for colleagues, their customers, clients and wider community. Want to stand out as a top candidate for your chosen career? Expert Mark Williams gives his top tips on creating a LinkedIn profile to maximise impact. Early careers employees from organisations such as Microsoft, Vodafone, BT, adidas, TSB, Asos, Arcadis tell us what it's really like to work for their companies and give top tips from getting the job to succeeding from the start in your first big job.